First, add one to the number of protons to find the number of electrons for each negative charge on the ion (-3 ion, add three electrons etc.). Second, subtract one from the number of protons to find the number of electrons for each positive charge on the ion (+1 ion, remove one electron)... For better or worse, these protons, neutrons, and electrons comprise the atom. In a regular old atom, there is exactly the same number of protons as there are electrons. This means that the unit as a whole is electrically neutral: its positive and negative vibes cancel out. For better or worse, these protons, neutrons, and electrons comprise the atom. In a regular old atom, there is exactly the same number of protons as there are electrons. This means that the unit as a whole is electrically neutral: its positive and negative vibes cancel out.... The amount of electrons must be the same as the number of protons in the atom for it to be neutrally charged. So the number of electrons should also be 6 . 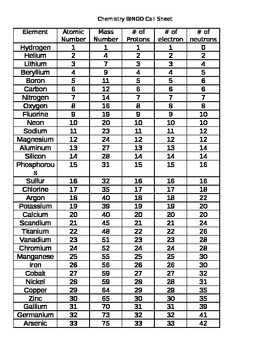 However, the number of neutrons can vary depending on the isotope. An easy way to find the number of neutrons in an atom would be to look at the atomic mass and subtract the number of protons from it. For example, if your atom has an atomic mass of 11, and you know that there are 6 protons in your atom, you can subtract 6 from 11 which gives you 5. You can then tell that you have 5 neutrons. This works because protons and neutrons are both approximately 1 …... 15/11/2009 · Best Answer: HCl is made of a hydrogen (H+) ion and a chlorine (Cl-) ion. To get the number of protons, neutrons, and electrons in HCl, add up the number in H+ and the number in Cl-. 4/02/2010 · The number is called the mass number, and the mass number is equal to the sum of the number of protons plus the number of neutrons. So if you know the mass number and you know the atomic number (if you know the name of the element, that tells you the atomic number because each element has only one atomic number), to find the number of neutrons, subtract the mass number from the atomic number. 1.You get the number of protons and electrons from the atomic number (number on top of element symbol). 2. You find the number of neutrons in one particular isotope of an element by subtracting the atomic number with the isotope mass number, (number behind the isotope's name).